At Santa Teresita we focus on your Relax . Our goal is to offer stress-free experience every time you visit us . This includes our friendly staff, professional therapists and therapies that will relax and eliminate your stress. 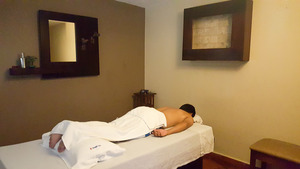 A massage is a relaxing therapy where a professional therapist uses an ancient technique appliying some pressure with the right intensity in certain areas of the body of the person. 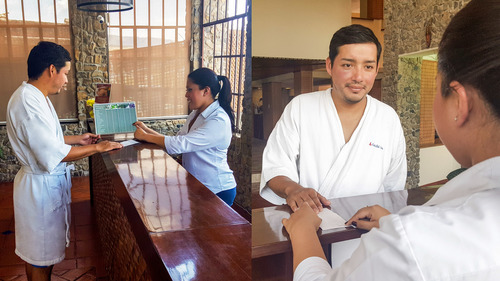 When you get to Kawilal Spa, our reception staff will welcome you and will ask you to fill out a clinical record with your history . Then they will show you the soothing scents available for your massage. Choose the one that best suits what you're looking for. Each essence has different benefits. While you wait for your massage you can relax with a cup of tea in our waiting room Kawilal Spa. At the time of your massage the masseuse will approach and take you to the massage room. - You can drink some water. While waiting for the therapist you can lie down on the massage table facing down. You can cover yourself with the towel you were provided before. Throughout your massage you will always be covered with the towel. The procedure is that the therapists will only uncover the parts of the body where they are working on, ensuring you tranquility and comfort . Before beginning the session, your therapist will ask you to alert them if, at any time during the session, a technique or stroke they are using is uncomfortable. They also ask if the pressure used is appropriate for you . 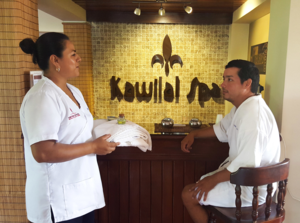 Kawilal Spa uses products of the highest quality to ensure your relaxation. - Some people like to talk during a massage. Some prefer to relax without conversation. Do what feels best. At the end of your massage the therapist will leave the massage room and will prepare a shower of thermal water for you to withdraw all the oil. 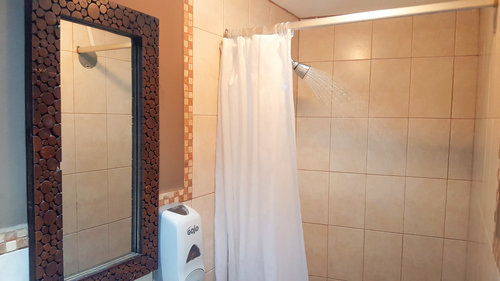 Each massage room has its own shower for your convenience. You'll have five minutes to shower and five minutes to get dressed. When you finish you can continue with other services you booked in Santa Teresita. - Each shower has shampoo.